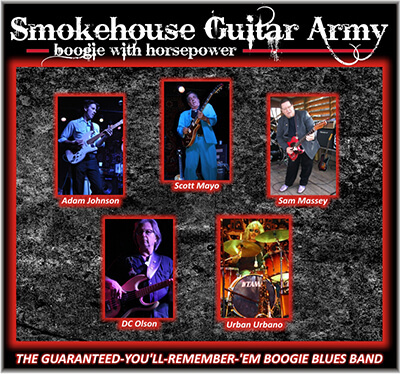 Smokehouse is a guitar-driven boogie blues band with a down-home Texas rhythm. Along with choice originals, they play the greats from the masters with their three guitar blend. They are the guaranteed-you’ll-remember-’em award winning San Antonio band. And don’t forget to boogie!